Koan is set to once again open up new ways to experience and enjoy the creative moment. Having established itself as one of the most distinguished nights in the Newcastle improvisation and free music calendar, Koan returns to The Globe for its fifth edition on Saturday 24th June for a more meditative offering. Dedicated to offering a warm and welcoming environment to performers and listeners alike, Koan is set to once again open up new ways to experience and enjoy the creative moment. Topping the bill are Sheffield duo Linda Kemp and Beatrix Ward-Fernandez, under the name Thermal Threshold. Kemp’s work in sound, voice and poetry sits alongside Ward-Fernandez’s violin playing to explore the gaps and spaces in improvised texture for what is sure to be an imaginative and bold performance. It’ll be fascinating to see this duo at work. Performing on the night as well are the duo of Jamie Cook and Gabriele Heller. Cook, a Newcastle based musician and sound engineer and Heller, a German-born singer and theatre performer, are set to blend electronics with vocal work to work at the edges the man-machine interface. 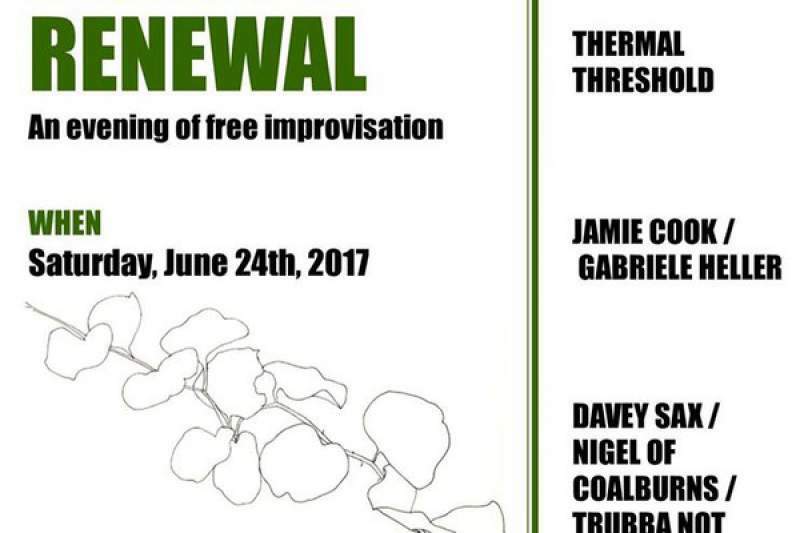 Opening the show are Davy Sax / Nigel of Coalburns / trubba not, a trio with extensive histories in improvised music coming together here to work with elements of ambience, space music and textural development. Koan 5 is at The Globe, Newcastle on Saturday 24th June.